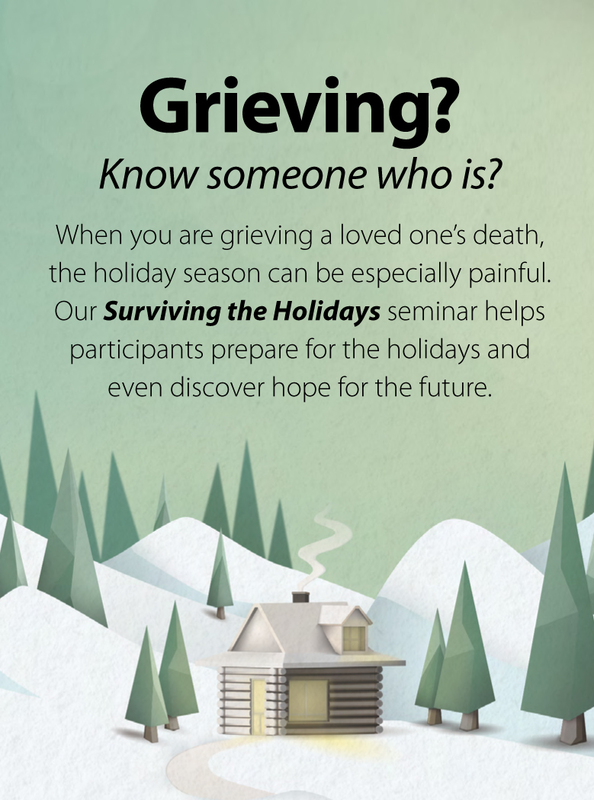 “Surviving the Holidays” video is especially for people who are grieving a loved one’s death. Bethany Chapel will be running the video “Surviving the Holidays” Wednesday, October 3 at 3 PM in the Fellowship Room. For more information please contact Hazel Jones, Parish Nurse at (403) 249-8605 ext. 241 or hazel@bethanychapel.com.